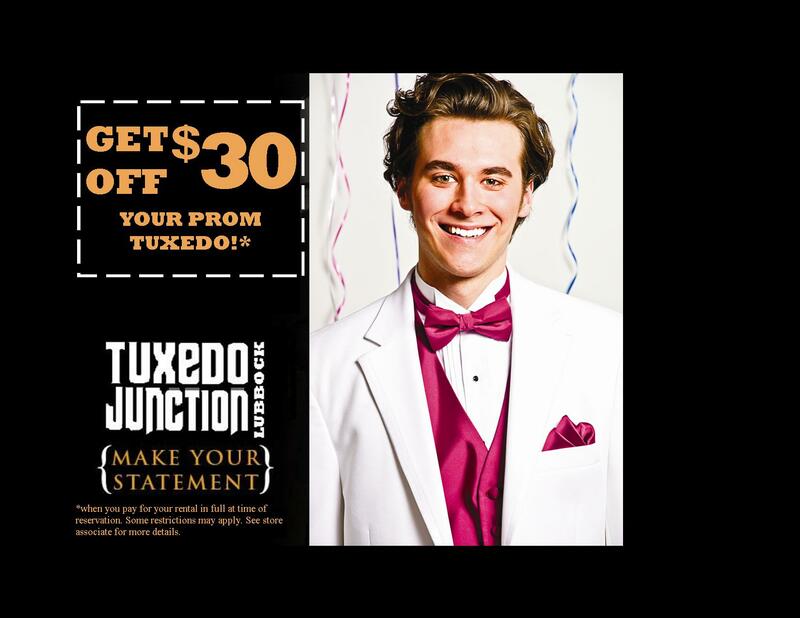 Thank you for considering Tuxedo Junction of Lubbock for your formal wear needs! We are excited to serve you. Come visit us today! Our showroom has all our styles and color options available and we offer an interactive display that allows you to see what different colors and styles will look like in person so you know exactly what you are renting from us. 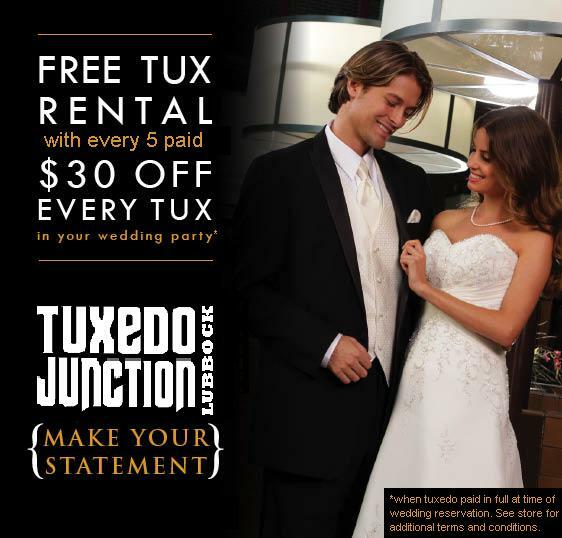 Why choose Tuxedo Junction of Lubbock? Unlike other shops or warehouses, we carry all of our inventory right here in Lubbock! We can exchange styles and sizes at the last minute, so no worrying about items not being shipped in or your out of town groomsman’s measurements being incorrect. When you come in for your final fitting and pick-up, if something doesn’t fit, we can exchange it immediately for something that does! Tuxedo Junction of Lubbock is locally owned and operated. We have been in Lubbock for decades. We live and work in Lubbock, just like you, and shopping at Tuxedo Junction of Lubbock keeps your business local! New location! New management! New inventory! Tuxedo Junction of Lubbock is now located in the Evergreen Cleaners building at 5210 82nd St. We upgraded our inventory, added new styles and colors to our selections, and have a brand new management team to serve you. Our team has been working exclusively for this tuxedo store for a combined 13 years. Out of town groomsmen? Not a problem! You can enter your measurements from anywhere in the world using our online system. Get measured where you are and pick up your tuxedo from us here in Lubbock.